Experience superior dentistry and a friendly team that fits in with you, at Cross Road Dental Care. Our bright, stylish practice is conveniently situated close to local schools and parking’s made easy. Don’t be surprised that Cross Road Dental Care stands out! We’ve designed our practice to be as comfortable and stylish as a modern boutique hotel, with all the personalised service you’d expect from our wonderful team, and a friendly, down-to-earth touch. Many of our patients are young families, which means we look after kids’ teeth too, and we love it. Coming in for a check-up or orthodontics, your kids might meet Harriet the rubber-glove chicken or Bozo the Balloon dog. Our team of dentists are highly-trained and at the top of their game, but what can we say – we’re young at heart. 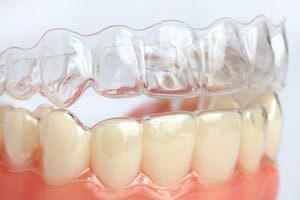 Ask us about easy teeth alignment with Invisalign! 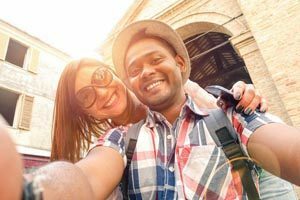 How can we give you a great smile? We believe everyone has the right to first rate dental care and shouldn’t have to wait, so we offer interest-free payment plans to suit every patient. We know you’re busy, and our opening hours are extensive, so you can get on with living a full life. 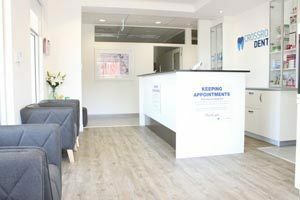 Our team of specialised staff and state-of-the-art facilities mean we’re able to offer cosmetic dentistry, orthodontics, implants, hygiene appointments and general dentistry, which means you can have all your needs taken care of in one place. We’re locals, and we’re committed to our community. We look after Edwardstown FC, and your kids’ll no doubt see our mascot Trevor the Giant Tooth at the club, where he teaches kids about looking after their teeth (with a dose of fun) – because we believe great dental health starts in childhood. We’re proud to play a part in the regeneration of Plympton, bringing the best in modern dentistry to the local community – as well as the growing number of patients who travel here just to see us. Don’t take our word for it – our Google Reviews speak for themselves…! Our patients are busy people, but they’re also part of our family, and we’re proud to have built the kind of trusted long-term relationships with our patients that form the bedrock of our practice. Come visit us at Cross Road Dental Care to discover first class dentistry in the heart of Plympton. Contact us today to set up your appointment!